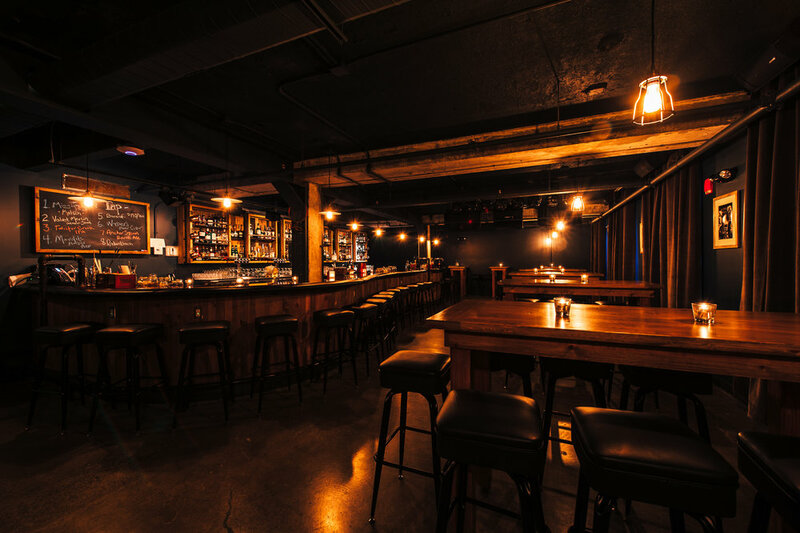 A proper establishment, The Speakeasy is a hidden bar in Anchorage, Alaska. Our focus is craft cocktails and social interaction. During the prohibition era, speakeasies were secret establishments where alcohol was illegally served. Their location was known by word of mouth, and entrance was gained by password only. HOW DO I GET INTO THE SPEAKEASY? On the first floor of Williwaw, there is a phone booth next to the elevator. If the blue light is on, The Speakeasy is open! Picking up the receiver will automatically ring the bartender, who will ask you how many in your party. If there is room, you will be given a password and invited upstairs to knock on our speakeasy door. WHAT IS THE BEST TIME TO COME IN? We open at 5pm Tuesday through Saturday at this time, and space is available on a first come first serve basis. The earlier you arrive, the better, as there is no waitlist. At this time, we do not take reservations. Unless, it is a private event established with our booking department. DO I HAVE TO BE 21 OR OLDER? Yes. We require a current (not expired) and valid ID showing that you are at least 21 years of age. Small or Large bowl - served with house-made cornbread.